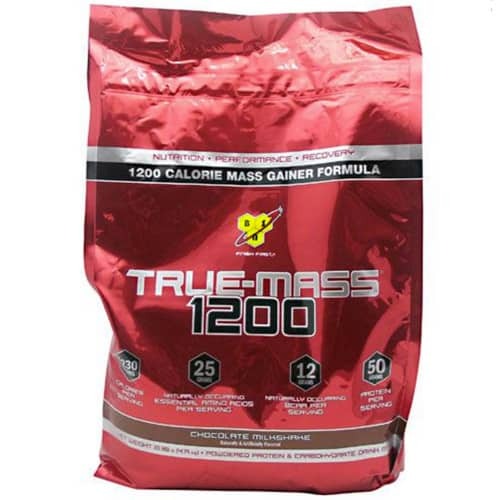 You are here: Home › Products › BSN True Mass – 10.25 lbs. BSN True Mass is an ultra-premium lean mass gainer, designed to promote muscle growth. It features BSN’s signature ultra-premium protein formula to feed an athlete’s muscles with essential protein building blocks. The unique carbohydrate blend provides the caloric support necessitated by extreme physical exertion, helping the body prepare for and support recovery from intense training. Healthy fats supply quick burning fuel to satisfy the serious athlete’s energy demands. And all these high-quality ingredients come delivered with BSN’s exclusive flavor technology, producing one of the most mouth-watering mass-gaining shakes on the market! 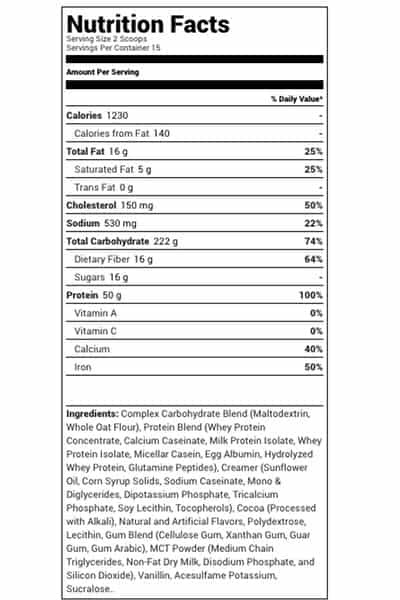 True Mass balanced composition makes it a nutritious source of caloric support and useful as a healthy meal replacement as part of a balanced diet plan. 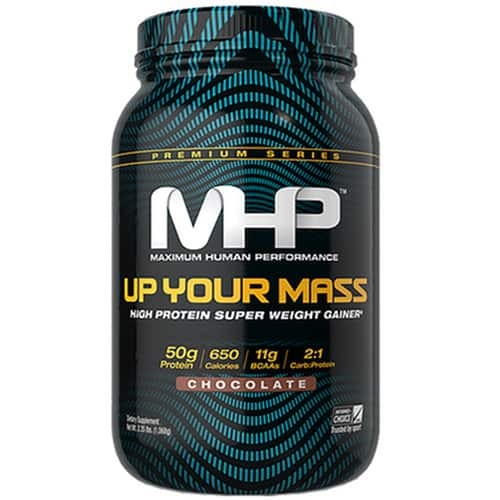 Its ultra-premium blend of protein, carbohydrates and healthy fats promotes increases in lean muscle mass. * And with a taste that can’t be matched, when it comes to mass gainers, True Mass is in a class by itself. 710 Calories per serving! 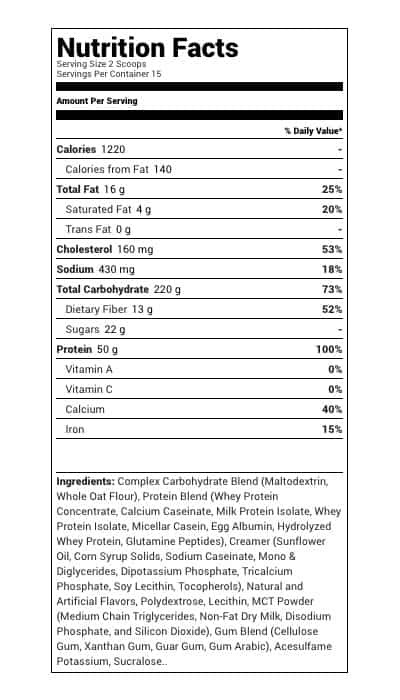 50 grams of protein and only 14 grams of sugar in every shake. 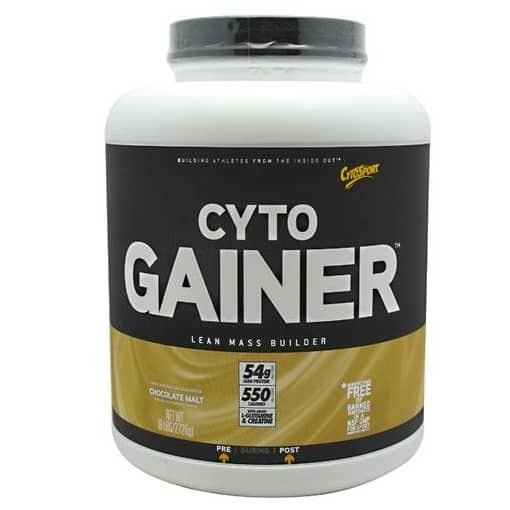 Cytosport Cytogainer – 6 lbs.